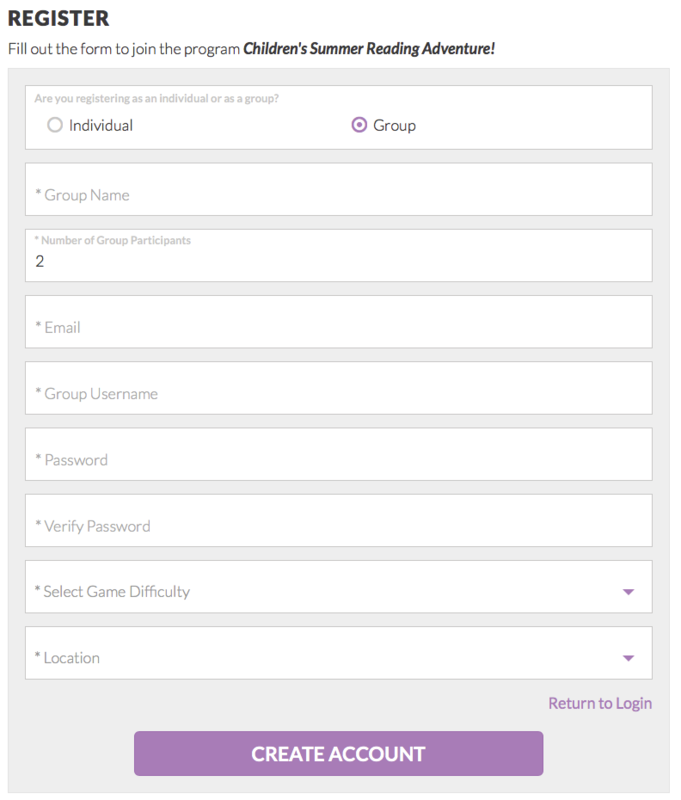 Group registration allows simplified logging for a group of participants. A common example of when group registration might be used is a daycare. The daycare could have a group account which lists the number of participants (the number of children in the daycare group) and logs on behalf of all of the participants. This eliminates the need for each child to have his or her own Wandoo Reader account and thus eliminates the need for the child's account to be individually managed by a parent or daycare staff member. Group registration can be enabled per program. For example, you can allow group registration in a children's program but disable it in your teen and adult programs if you so choose. Registration of a group is only accessible from the patron interface; staff cannot register a group from the staff interface. There is no limit to the number of participants allowed in a group registration. 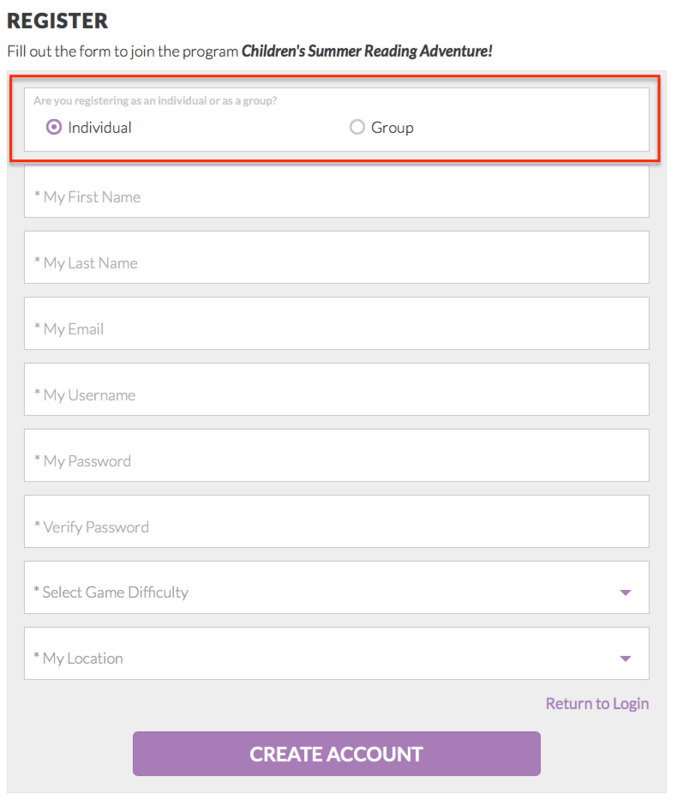 If group registration is enabled for a program, the registration form for that program will reflect this by showing an "Are you registering as an individual or as a group?" question at the top of the form. Upon selecting "Group" as the registration type, the remaining fields on the form will change to reflect a group registration. This includes changes from "My First Name" and "My Last Name" to "Group Name" and the addition of "Number of Group Participants" among others. Summary: Group registration in Wandoo Reader. Posted - Mon, May 22, 2017 at 11:35 AM. This article has been viewed 1055 times.